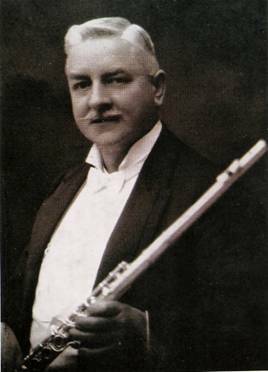 Joseph F. Ridgway played second flute in the Hallé Orchestra 1922-26 and then re-joined 1928-1930. He was known as ‘Joe’ to his friends and colleagues and Norman Seville once referred to him as, “a perfect gentleman as well as a good flute player”. Between 1904 and 1932 he was conductor of the Gorton Philharmonic Society and was one of the early broadcasters from Manchester’s BBC Northern Station.